Google has just published the platform distribution numbers collected over the past two weeks, and things are finally looking up for the 4.1+ crowd. 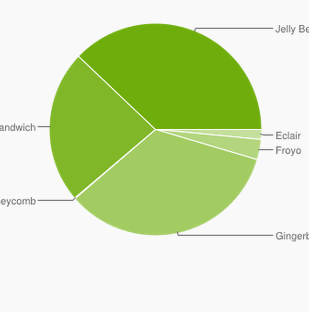 It's been a long, tedious, tiring trek, but Android 4.1.x/4.2.x, collectively known as Jelly Bean, has finally become the dominate OS – surpassing Gingerbread by 3.8 percent. It may not be a huge amount, but Jelly Bean is currently running on 37.9 percent of all devices – a full 4.9% more than last month's numbers. 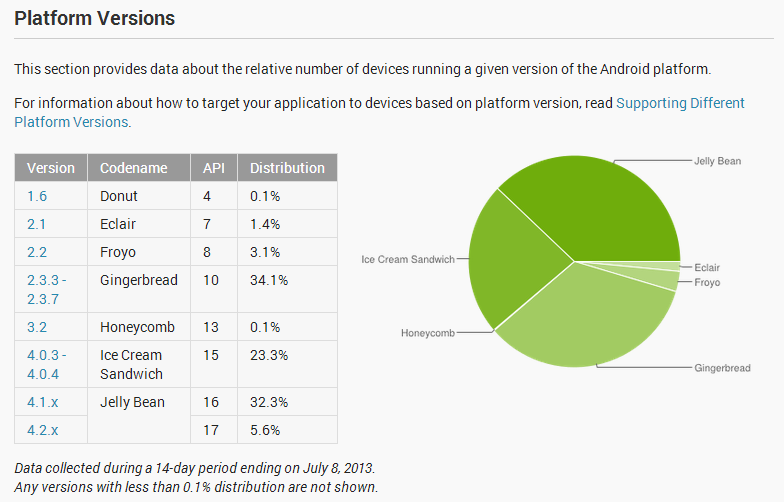 Ice Cream Sandwich has dropped down to 23.3 percent this month, while Honeycomb hangs on at just 0.1 percent. Other changes are negligible this go around – Donut's still kicking it on 0.1 percent of devices, and Éclair just dropped to 1.4 percent. Overall, not bad growth coming from the 4.1+ crowd this month – at this rate, Gingerbread will be extinct in no time.